Born at Cobourg, Canada West, on 10 July 1849, the son of Colonel John Crease Boswell and the grandson of Admiral the Honourable Walter Boswell. He was educated at the Cobourg Grammar School and Upper Canada College, Toronto. Boswell began his military career as a member of the Cobourg Infantry Company in 1864, and two years later obtained a second class certificate from the Military School of Instruction, Toronto. On 19 August 1873 he married Emily Maria Lasher (1852-1925), eldest daughter of John Lasher of Bathand Kingston, Ontario. They had five children: Clarence Montague Boswell (1876-1965), Jessie Jazdowski Boswell (b 1883), Emilie M. Boswell, Gwendoline Boswell (b 1888), and John Musgrave Boswell (b 1897). Boswell was on active service for several months during the Fenian Raid of 1866. On 2 April 1869, he was appointed ensign of B Company, 40th Battalion Volunteer Militia, formerly the Cobourg Infantry, and after obtaining a first class military certificate, was appointed, in 1872, its Lieutenant and Adjutant. He attended the Kingston Military School where he temporarily acted as Adjutant. In 1878 he was promoted to the rank of Captain. From 1871-81 he worked in the Post Office Department in Cobourg. In 1881 he was transferred to Winnipeg. Together with Col. McKean, Col. Kennedy, and Sir Daniel Hunter McMillan, he organized the 90th Regiment in Winnipeg and served as its first Adjutant. 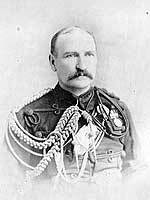 In 1884 he was appointed to the rank of Major, and commanded the first detachment of the 90th which left Winnipeg with General Middleton for the North-West Rebellion on 25 March 1885. During this campaign he was mentioned in despatches at Batoche and at Fish Creek. He was appointed Lieutenant-Colonel of the 90th Regiment in1887, and an aide-de-camp for Manitoba to the Governor-General in 1887-1895. He was placed on the reserve of officers in 1895. Boswell died on 12 March 1907.